INSIDE SRI LANKA A monthly insider’s report by Royston Ellis. June 2014. For a taste (literally) of colonial Ceylon, I go to one of the few rest-houses that remain which are found in towns in the interior of the country. These were originally bungalows developed by the British colonial administration as a network of cheap accommodation and meals for travelling officials. They were usually built in superb locations, each within a day’s march or horse ride from one another. The traditional rest-houses that remain today are government-owned, leased either to urban councils or private organisations. 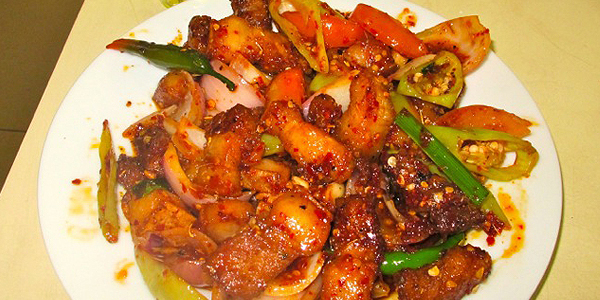 They have long had a reputation for genuine local food (rice and curry of course) and low-cost snacks (like devilled beef). However, some rest-houses have moved upmarket to cater for well-heeled tourists. 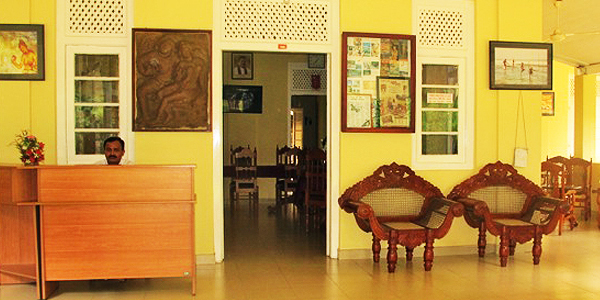 Rest-houses of the ‘old-school’ are distinguished by the service provided by stewards in their white sarongs and starched white tunics, who treat every visitor as an honoured guest. I was delighted to discover recently that the Padukka Resthouse, while cleaned-up, functions in the time-honoured way and serves snacks of ample portions. I was ushered onto the veranda for my lemon gin and devilled pork (Rs600) while locals roistered away in the adjoining arrack bar, in the manner of the separate saloon and public bars of old English pubs. 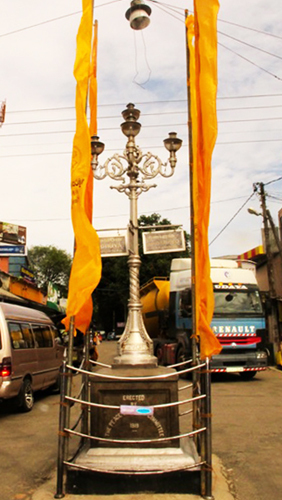 Padukka is 40km inland from Colombo and is distinguished by a war memorial at its centre which is still standing after 95 years of traffic swirling around it. June 12 is Poson Full Moon Day in Sri Lanka, the day when the advent of Buddhism is celebrated through religious observances and illuminations and processions. 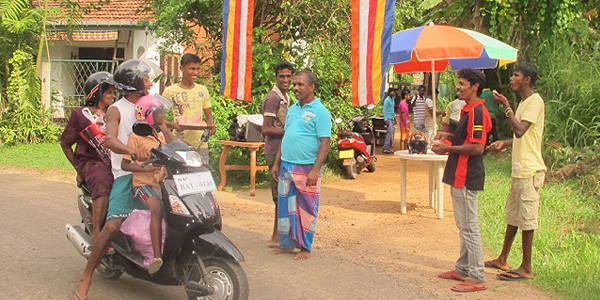 Villagers join together to give alms at a dansala, which usually takes the form of wayside distribution of free food or soft drinks to passers-by. The same thing happens on the Vesak Full Moon Day in May. The alms can be anything from rice and curry lunch to a cone of ice-cream, a cup of sweet coffee, pastries or, as in my village this May, a portion of slow cooked chick peas seasoned with coconut pieces and fried dry red chillies. This alms was prepared by a group of village youths who collected Rs1,500 (approximately £6.80) from ten people. They pooled the money to buy the ingredients and spent the morning carefully cooking the chick peas in enormous saucepans. The dansala was held in a country lane at 3.20pm on the Poya Day and was started with a couple of loud fireworks and two invited guests receiving alms. 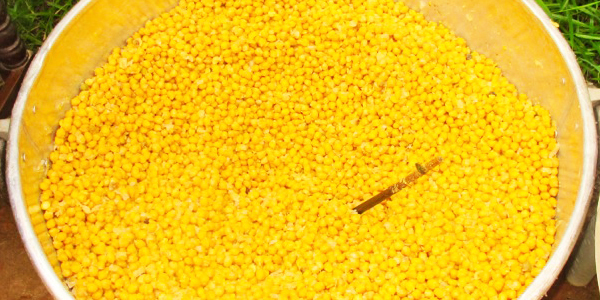 The youths had prepared two thousand bags of the cooked and seasoned chick peas and were amazed that they were all distributed to eager villagers and travellers within a couple of hours. No alcohol or meat can be sold on Poya Days but the Poson Full Moon Day is a lively time with community almsgiving and brightly lit pandals, static or revolving temporary structures made up of paintings and flashing lights which depict Buddha’s life. One of the joys of visiting Sri Lanka is the ease with which one can slip off the beaten track and find places not usually seen by tourists. The countryside of Sri Lanka yields many sights, although you’ll usually need a friendly local to help you discover them. That’s how we found the bamboo raft ferry across the Magura Ganga. We were warned we needed a 4WD vehicle to get there, as the country roads through the private tea plantations are either badly potholed or simply mud trails. With a local boy as a guide, we eventually found the house of our host on an isolated plateau in the jungle, about 40km inland from the west coast town of Alutgama. 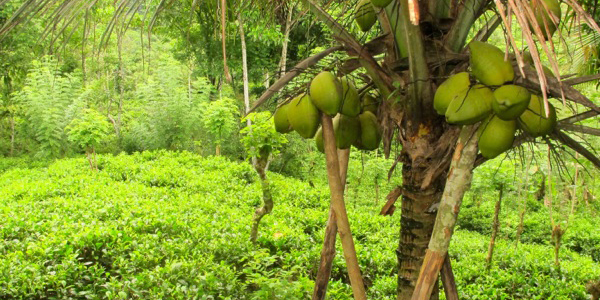 They grow tea organically in gardens cleared in the forest where, surprisingly, young coconuts grow too. The Magura Ganga flows through the plantation on its way to join the main Kalutara River and the only way to cross is by ferry. 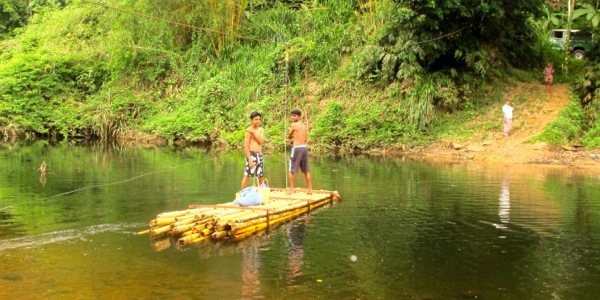 The villagers made the ferry themselves, stringing up a rigging to which the raft is attached and adding a line across the river which the raft’s passengers must pull on to propel it to the other side. 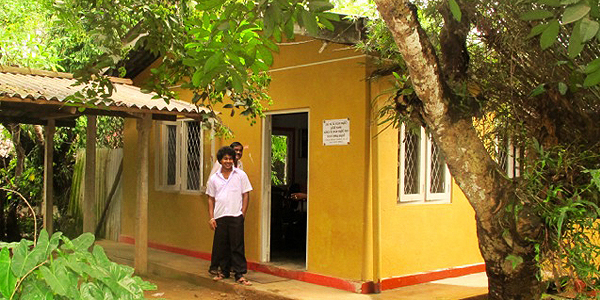 There is another hand-pulled ferry, large enough for vehicles to use, nearer the west coast, crossing the Bentota River. Local tuk tuk drivers know its location and are happy to take visitors there to try it. That’s the enticing slogan of the modern tea house just opened by the Sri Lanka Tea Board, located in the restored grandstand of the old Colombo Race Course in the city’s prestigious Cinnamon Gardens district. 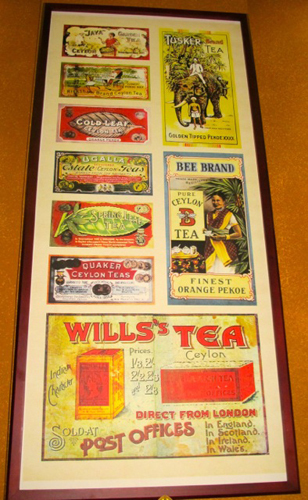 While some independent tea marketing companies have set up shop recently to sell their own brands of tea, this new outlet, known as Ceylon Tea Moments, features all of Sri Lanka’s famous brand names. Teas from all parts (and elevations) of Sri Lanka can be tasted at the tea house, which has a comfortable interior and a gallery, so customers can watch the action in the main saloon below. The menu also offers exotic tea cocktails: Long Island Iced Tea consists not of white spirits and cola, but Dimbulla tea, Earl Grey tea and blackcurrant tea, shaken vigorously together with ginger and lime juice. Sugar syrup is served separately. It cost Rs300, plus taxes & service charge of 27%. A more robust cocktail is the shaken-not-stirred combination of iced teas and bee honey spiced with Tabasco and Worcester sauces. 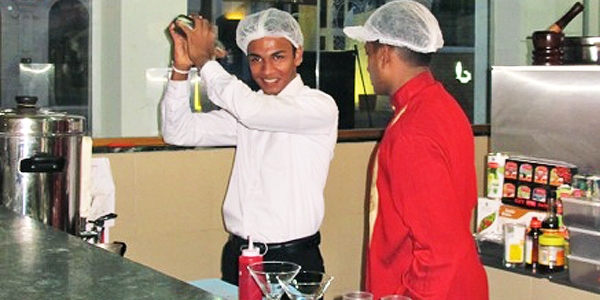 Ceylon Tea Moments has an open kitchen where guests can watch special tea meals being prepared – it is open daily from 7am until 11pm and local dishes and tea all seem to be reasonably priced. INSIDE SRI LANKA A – monthly insider’s report by Royston Ellis. May 2014.